The item Lily and Taylor, written by Elise Moser, (electronic resource) represents a specific, individual, material embodiment of a distinct intellectual or artistic creation found in Austin Public Library. 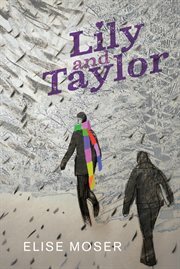 After her older sister is murdered in a horrific incident of domestic abuse, Taylor begins a new life in a new town. She meets Lily, whose open, warm manner conceals a difficult personal life of her own, coping with her brain-injured mother. The two girls embark on a tentative friendship. But just when life seems to be smoothing out, Taylor's abusive boyfriend, Devon, arrives on the scene, and before they know it, the girls find themselves in a situation that is both scary, and incredibly dangerous.